Since its release, PSVR has been the most popular VR headset, with over 2 million units sold worldwide. The game library was sufficient even from the initial launch, and it is just getting better. Now, besides the PSVR Camera and the pair of Move Controllers, which are obviously mandatory, let’s take a look at additional 4 must have accessories for PSVR! Once you have acquired all the PSVR equipment – the headset, controllers and the camera, you will come to realize that your PS4 doesn’t have enough USB ports to charge everything at the same time. Especially considering that you already have a pair of DualShock 4s. This turns out to be a problem, especially if your idea is to charge everything during nighttime. Another issue you will encounter is how to neatly store all the accompanying equipment which comes with your PSVR. There are several solutions to this problem, but you don’t need to look any further. The Charge & Display Station for PlayStation VR is probably the most elegant of all. It is licensed by Sony and designed by PowerA, and besides the practical use – charging your Move Controllers and one of your DualShock 4s, it is also a worthy throne which enables you to safely store PlayStation VR and display it proudly. Check out the best PSVR Charge & Display Station deals on Amazon! 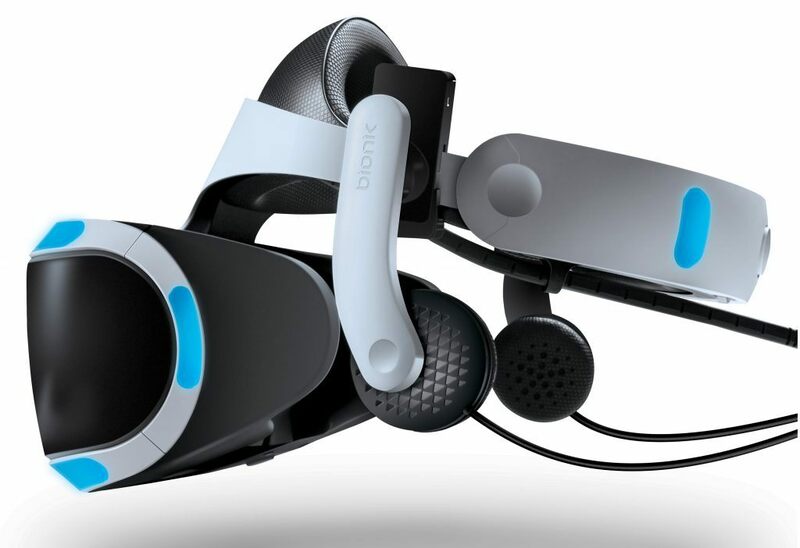 Your PlayStation VR came with a pair of earbuds which are… decent, yet nothing more than that. There are many issues when you play with earbuds, especially in games which require lots of movement. Sound immersion is very important when it comes to virtual reality, therefore investing in a pair of higher quality headphones is a smart choice. Luckily there are plenty of alternatives available on the market, and we have already covered a few in one of our previous articles. One of the solutions are the Mantis Headphones, developed by Bionic, which offer a slick clip on alternative. Their position on your headset is easily adjusted, but more importantly they offer the above average sound quality. For other quality headphones solutions, make sure to check out VRBorg’s list of best Headphones for PSVR! Check out the best PSVR headphone deals on Amazon! 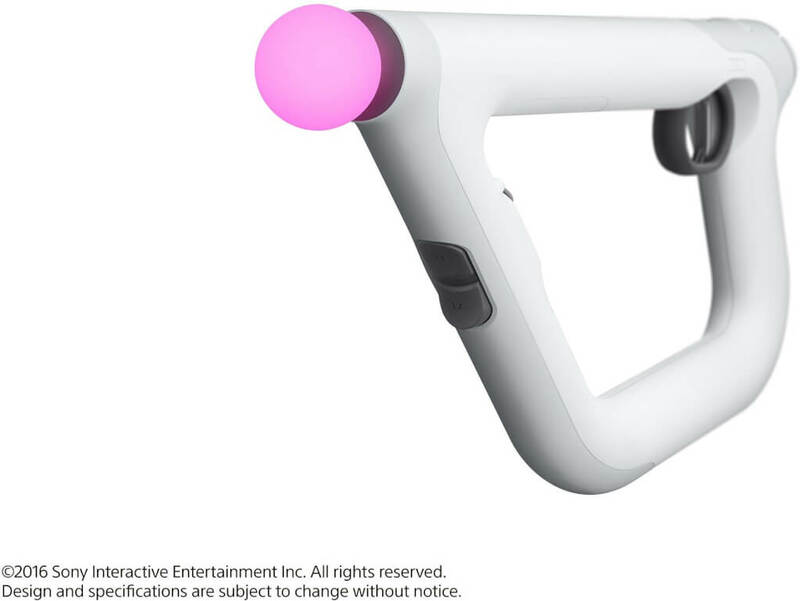 The release of Farpoint came in a bundle with another great PlayStation VR peripheral designed specifically for virtual reality first person shooters. Now the PlayStation Aim Controler may not seem as such a necessity and a must have PSVR accessory, but it will definitely revolutionize your VR shooter experience. The controller comes with the complete set of buttons you have on your regular DualShock 4. And while it doesn’t really look like a much of a gun when you first look at it, once you are immersed into virtual-reality you will feel as if you are carrying a real rifle! Check out the best PSVR Aim Controller deals on Amazon! A good PSVR travel case goes a long way. This is simply because after some time you’ve spent enjoying PSVR, you often have an urge to just bring it to your friend’s home and show it to them. 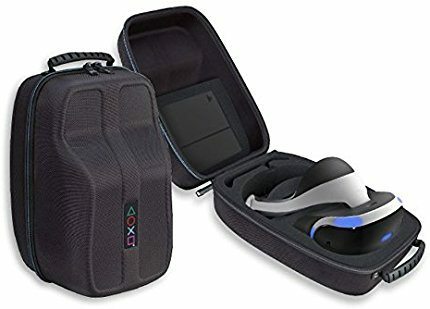 The RDS Industries PSVR Headset and Accessories Deluxe Carrying Case is a very effective and practical solution, and it comes at a reasonable price too. Officially licensed by Sony, this PSVR Travel case comes with separate compartments for your entire PlayStation VR rig. The case is hard shelled to ensure the maximum protection. Check out the best RDS Industries PSVR Carrying Case deals on Amazon! 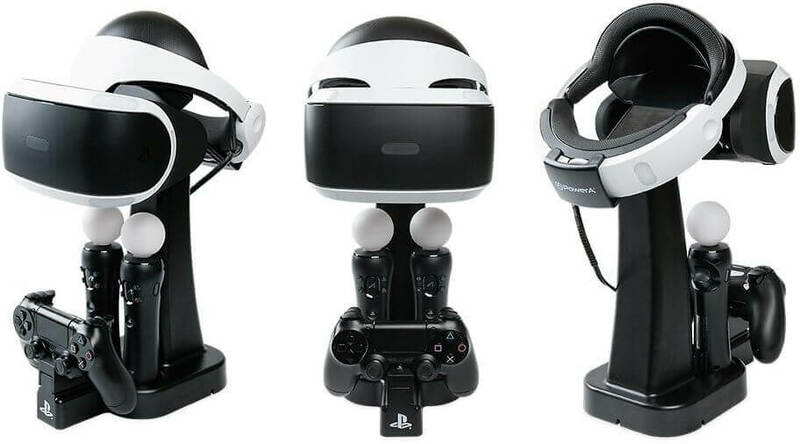 The products described above offer an unparalleled immersive and enriching experience, so you shouldn’t deny yourself the opportunity to try them out if you can.We hope that this VRBorg’s list of 4 must have PSVR accessories helps you improve your overall PlayStation VR experience.